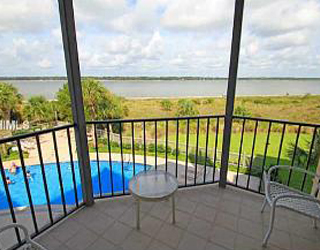 Please send me more information on Wexford at, Hilton Head Island Thank you. With well-thought-out plantation covenants and an active Architectural Standards Committee, Wexford keeps strict control on the look, feel and size of homes in the plantation. From 18,000 sq. ft., waterfront compounds to 2,000 sq., ft., townhomes and stately executive retreats with golf course views, Wexford provides a luxurious backdrop for all owners. There are no vacation rental or resort activities in Wexford; it remains exclusively residential. Many home exteriors feature stucco surfaces with brick and stone accents. Tabby and brick walkways, columned entrances and gas lit lamps are all common in Wexford. As a Wexford property owner, membership in the Wexford Club is required and an Initiation Fee and annual Property Owners dues and assessments are levied. Wexford offers more than your usual community. Beyond the golf, harbor, tennis and fine dining, Wexford offers discussion groups, book clubs, croquet and an active social scene. Wexford prides itself on facilitating events and activities that will bring neighbors together. Located in the center of the Island, Wexford is a friendly, safe and tranquil place to call home. Wexford’s 24-hour tide-free lock system provides access to Broad Creek at any time. The unique harbor design offers almost 4 miles of concrete partition and keeps the entire 37-acre harbour at least 8 feet deep at all times—about 100 million gallons of water—to ensure security the of its watercraft. Each boat may be up to 70 feet long with up to 19-foot beams. Wexford contains up to 280 boat slips, 138 of them located adjacent to private residences, and the remainder are located behind the clubhouse for owners who desire membership in the Wexford Yacht Club. A full-time staff works round-the-clock to ensure that entry or exit from the lock system takes no more than ten minutes. With an average of a mere 50 rounds played per day, Wexford is not only a private course; it’s a creative one. Following a major renovation, Arnold Palmer opened his par-72, 6,913 yard Signature Course at Wexford Plantation in 2011. The 18–hole Wexford Course was originally designed by Willard C. Byrd and opened in 1983. The golf course is artistically blended with the natural settings of the community to provide a meticulously maintained journey through tall, majestic oaks and stately pines. It continues around the harbour and an expansive stretch of coastal marshlands to offer spectacular views. Wexford has hosted the popular Wexford Intercollegiate Golf Tournament for nine consecutive years. Wexford’s Tennis Center houses six Har-Tru courts, four of them lighted, and all have views of the harbour or the golf course. The staff provides group and privates lessons and clinics daily. Located adjacent to the spectacular Wexford Clubhouse, the community also offers a manicured croquet and bocce court for owners. Wexford Clubhouse – The elegant Wexford Clubhouse is the focal point and social center for this family-friendly community and features a private lounge and restaurant overlooking the inland harbour. Completely renovated in 2010, it also houses handsomely appointed men’s and women’s locker rooms and a full-service golf pro shop. Wexford Plantation was planned over 30 years ago by Marathon Oil Company to be the premier residential community on the East Coast. The developer assembled a parcel of approximately 500 acres across from Shipyard Plantation running from Highway 278 to Broad Creek. Marathon Oil built Wexford using the Governor’s Mansion in Williamsburg, The Congressional Club in Washington, and the Cloisters in Sea Island as influences. Evidence of the grand intent lies in the Georgian marble entrance foyer and the stained glass skylights inside the plantation’s multi-million dollar clubhouse; another clue to the community’s elaborate nature is in the 24-carat gold lettered street signs, copper-domed street lamps, and the intricate hand-laid stone bridges. Willard Byrd was chosen to design the layout for the golf course and plantation. He was inspired by a National Geographic article about the inland canals of Ireland, and conceived the idea of a lock-controlled harbour that would be the centerpiece of the plantation. There are reportedly only two other communities on the east coast with lock-controlled harbors. How many active real estate properties are currently listed for sale in Wexford , Hilton Head Island? Currently there are 64 listed for sale. 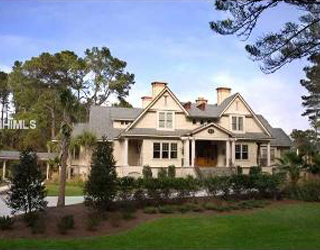 Are there any foreclosures currently for sale in Wexford , Hilton Head Island? No, currently there are no active listings in Wexford with a foreclosure status. 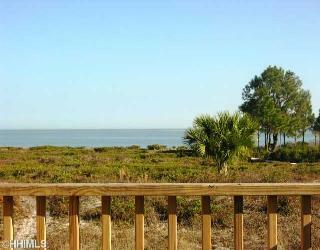 Are there any short sales currently for sale in Wexford, Hilton Head Island? No, currently there are no active listings in Wexford with a short sales status. What is the price range and average price for residential homes in Wexford ? The price range of the 42 listed homes for sale in Wexford is between 499K and 3,200K. The average price is 1,303K. Click here to view all residential home listings in Wexford. What is the price range and average price for residential land and lots in Wexford ? The price range of the 22 listed land and lots for sale in Wexford is between 34K and 725K. The average price is 173K. Click here to view all residential land and lots listings in Wexford. What amenities a buyer should expect to find in Wexford ? What kind of views a buyer should expect to find in Wexford ? Wexford Plantation is a highly acclaimed, private residential gated community located near the south end of Hilton Head off William Hilton Parkway. Launched in 1982 as one of the most exclusive neighborhoods on the Island, Wexford comprises 525 acres of grand design including 24-carat gold lettered signs, copper domed street lamps and intricate hand-laid stone bridges. The community is anchored by a multi-million dollar clubhouse and a 37-acre inland harbour which fronts Broad Creek and the Intracoastal Waterway. The award-winning harbour features lock gates and more than 4 miles of concrete partition to control tidal fluctuations. Wexford is also home to an 18-hole distinctive Arnold Palmer Signature Course, championship tennis center with six courts, and a well-manicured croquet & bocce lawn.